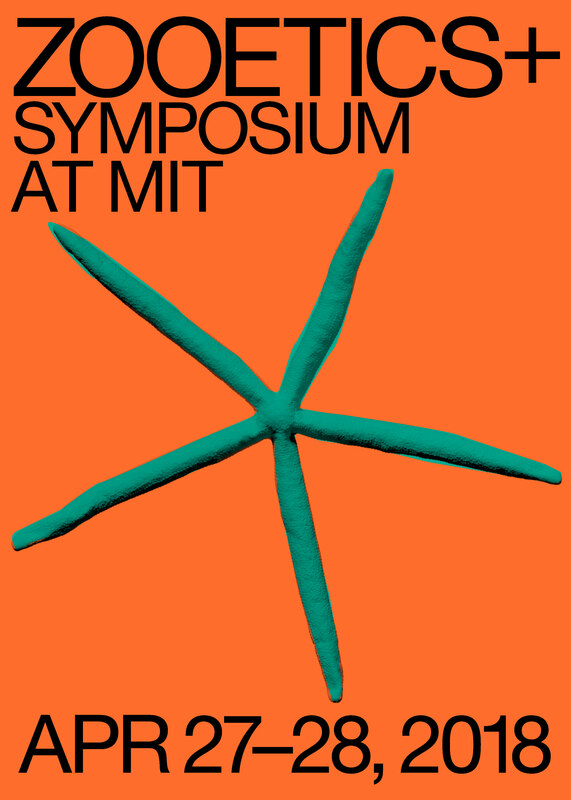 The Zooetics+ Symposium at MIT, hosted by the Program in Art, Culture and Technology (ACT) invites renowned scholars, artists, philosophers, scientists, anthropologists and cultural theorists to address cohabitation of human and other forms of life as an urgent issue that unfolds through a variety of discourses: indigenous and vernacular knowledge, biosemiotics, posthumanism, and human-animal studies, among others. Zooetics proposes re-imagining the role of ecosystemic thinking and artistic imagination in this context. 10:30 AM – 12:00 AM What Does Ecosystemic Thinking Mean Today? Genealogy, impact and legacy of ecosystemic thought since the dawn of cybernetics. How have the infrastructures changed today since the publication of “Limits to Growth” or “Whole Earth Catalogue”? What tools are there to attune ourselves to perceive the interconnections of natural and man-made systems and to be able to make ethical, political, aesthetic decisions? This session is engaged with the question of how to transition from the habits of thought associated with cybernetics towards new thinking… perhaps sympoietics? 1:30 PM – 3:00 PM Knowledge Production Through Making and Living with Other Species. Often reduced to a capacity of either a subject or consciousness, imagination could be thought as a way of opening up to the future and the unknown. Simultaneously being a sphere of change and transformation, it invents the directions of its own development and acts as a link between a human and the powers of the world. However, is it possible transcend human imagination? What would a non-human imagination look like? The field of imagination enables the exposure of radically impossible possibilities, introduces the perspectives of their development, and overcomes predetermined articulations and representations. 10:00 AM – 11:30 AM Artistic Intelligence, Speculation, Prototypes, Fiction. Learning Through Artistic Methods. Artistic methods of speculation, prototype making, modelling and fiction as pedagogical devices for ecosystemic thinking. Indigenous Futures – Indigenous artists discuss their work in relationship to futurity and creative reclamation. Looking ahead to future generations, sustained by the strength of our ancestors and wise to the challenges of living in fraught times, how do we bring our values as Indigenous people to our work in creating Indigenous futures? As artists, how do we apply Indigenous science and technology to creating these futures? The Zooetics+ Symposium is convened by: Gediminas Urbonas, artist and professor at the MIT Program in Art, Culture & Technology, Cambridge, USA; Nomeda Urbonas, artist and research fellow at ACT, and at NTNU, Norwegian University of Science & Technology, Norway; Viktorija Siaulyte, curator and researcher at the Jutempus Interdisciplinary Art Program, Lithuania; Laura Knott, producer and curator at the MIT Program in Art, Culture & Technology, Cambridge, USA; Lars Bang Larsen, writer, professor at the Royal Institute of Art, and a curator at the Moderna Museet in Stockholm, Sweden; and Laura Serejo Genes, artist and graduate student, MIT Program in Art, Culture & Technology, Cambridge, USA.